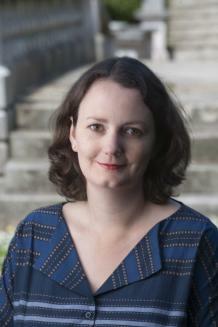 Professor Daisy Hay (Exeter) will be talking about life writing in the eighteenth century. Focusing on the influential radical publisher Joseph Johnson, her talk is entitled, ‘Experiments in Life-Writing: Joineriana and Joseph Johnson’. Daisy is an acclaimed biographer and literary critic. Her first book, the award winning Young Romantics: The Shelleys, Byron and Other Tangled Lives, focused on the families of Percy Bysshe Shelley and Leigh Hunt and on the political, intellectual and emotional significance of Romantic sociability. Her second book, Mr and Mrs Disraeli: A Strange Romance, traced the history of the Disraelis’ unusual courtship and marriage and was particularly concerned with the afterlife of Romanticism, the relationship between fact and fiction and the stories of Victorian women who, like Mary Anne Disraeli, sought to move beyond the circumstances of their birth to create for themselves fulfilling and stimulating lives. Daisy is currently working on a cultural history of English romanticism entitled Dinner with Joseph Johnson. Daisy is an engaging public speaker who regularly contributes on national radio programmes and we are delighted that she is joining us this semester. As always, there will be sociable drinks and nibbles in the café afterwards. Join CRECS in celebrating the bicentenary of the publication of Frankenstein, as we host a festival of events later this month that explore various aspects of Mary Shelley’s gothic classic. A collaboration between the School of English, Communication & Philosophy and Special Collections at Cardiff University, and directed by Prof. Anthony Mandal, Cardiff Frankenfest is part of the global Frankenreads initiative—a celebration of the novel’s anniversary by over 400 partners around the world, taking place in the lead-up to Halloween 2018. We are delighted to be hosting four convivial, interactive events later this month, to which fans of the novel are warmly invited. Unless otherwise noted, events take place in the Special Collections of Cardiff University’s Arts and Social Studies Library. A Stormy Night of Ghost-Telling: Fantasmagoriana and the Villa Diodati (22 Oct 2018, 5.30–7pm): In this seminar, Dr Maximiliaan van Woudenberg (Cambridge) will explore Fantasmagoriana, the collection of ghost stories in French read by Byron and the Shelleys during a summer stay in Switzerland. It was these tales that inspired the infamous ghost-storytelling completion, resulting in Mary’s creation of Frankenstein. The seminar will consist of a talk, followed by a hands-on discussion based on close readings of two short stories from Fantasmagoriana. This event is co-organised by CRECS and the Centre for Editorial and Intertextual Research. ‘Of What A Strange Nature Is Knowledge’: Interdisciplinary Approaches To Frankenstein (24 Oct 2018, 5–7pm): This event explores the novel through various modes of analysis, led by Cardiff University researchers. Dr James Castell will discuss the ways in which Frankenstein anticipates key concerns of the environmental humanities; Barbara Hughes-Moore considers the relationship between legal culpability and the Creature’s status as a non-human; Prof. Keir Waddington examines how the laboratory space features in the novel. Each speaker will talk for about 15 minutes, with plenty of time for discussion. Mary Shelley (29 Oct 2018, 6–9pm): A screening of Haifaa al-Mansoor’s 2017 biopic, starring Elle Fanning. The movie will be followed by a discussion of its representation of Mary’s life and love by Dr Anna Mercer (Cardiff/Keats House), whose work draws on her extensive research into the Shelley family manuscripts. This event is co-hosted by Cardiff BookTalk, and takes place in Cardiff University’s Optometry Building. ‘My Hideous Progeny’: Your Favourite Readings of Frankenstein and the FrankenQuiz (31 Oct 2018, 4–7pm): Start your Halloween celebrations by coming along to read and discuss your favourite passages from Frankenstein, at an event hosted by Rob Lloyd. The evening, and Festival, will conclude with a FrankenQuiz, in which you can prove your knowledge of all things Frankenstein—there will be suitably monstrous prizes for the winning team. For more information about readings, please contact Robert at LloydRS2@cardiff.ac.uk. All events are free and everyone is welcome to attend. Refreshments will be available. However, please register using the Eventbrite link below so that we can plan accordingly: cardiff-frankenfest.eventbrite.co.uk. We’re looking forward to welcoming you all to Cardiff! The Cardiff Romanticism and Eighteenth-Century Studies Seminar (CRECS) is pleased to announce our first CRECS Summer Conference with our colleagues from Bath Spa, Bristol, Exeter, and Reading universities. The event will be the first large gathering of staff, postgraduates, and undergraduates in the Southwest region. Our aim is to bring together a community of students and researchers who are working on literature of the long eighteenth century. The day will consist of paper presentations from students, career advice panels, Library and Special Collections introductions, and research and graduate applications advice. We are also pleased to announce that Professor Damian Walford Davies (Cardiff University) and Dr Rebecca Bullard (Reading University) will be giving our opening and closing plenaries. Papers will be 15 minutes long (approx. 1500 words) and panels will consist of 3 speakers. Panels will be broken up into undergraduate and MA panels. All year groups are encouraged to apply. There is no attendance charge and lunch and refreshments will be provided. We will also be hosting a wine reception after the closing plenary (6pm). On January 18th 2018, the Cardiff Romanticism and Eighteenth-Century Seminar held a Workshop on PGR Recruitment, Cultures, and Training including with colleagues from a range of other institutions including the University of Bristol, the University Of Reading, Bath Spa University, the University of Exeter and Dongguk University Korea. Following discussion of research interests and PhD supervision, there was considerable discussion about strategies for PhD Recruitment and Student Training. We also began to plan a conference to be held in the summer in Cardiff for undergraduate and MA students from each of the partner institutions. We’ll post an update on this blog soon! Join the Cardiff Romanticism and Eighteenth-Century Seminar (CRECS) on 16 May 2017 for an exciting excursion, as we visit the Gothic Strawberry Hill House in Twickenham, a modern architectural marvel. With its arches and turrets, its elaborate windows and gables, and its bone-white exterior, Strawberry Hill is a bizarre cross between a Gothic castle and a Disney one. 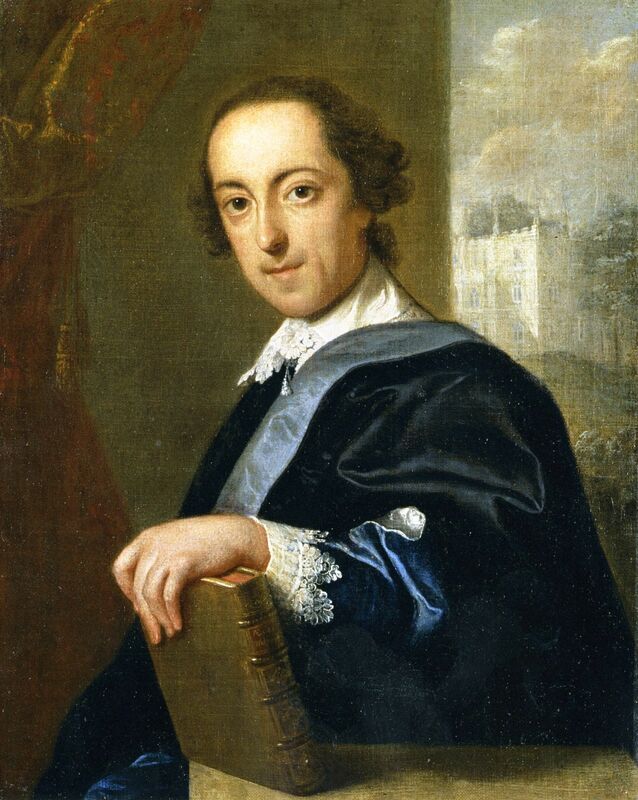 Until 1797, it was also the home of the Gothic novelist Horace Walpole. The Cardiff Romanticism and Eighteenth Century Seminar (CRECS) invites you to join us for our second Annual Conference on Wednesday, 17 May 2017. Many thanks to Jannat Ahmed (@PemberleyParade) for writing this review of our CRECS event, which took place on Monday 13 March 2017. Frances Burney is often best known as the writer of pioneering novels of manners that inspired Jane Austen, such as Evelina, or: The History of a Young Lady’s Entrance into the World (1778). But she was also a playwright, who drew upon a rich tradition of tragic drama to reflect on her experiences at the court of George III and, more broadly, the ideological constraints that women faced in eighteenth-century society. In this talk, Francesca Saggini will discuss Burney’s ‘Tragic Muse’, and will more broadly reflect on the way that critical reception inflects our treatment of Burney and other late eighteenth-century dramatists. Francesca Saggini is a Professor of English Literature at the Università della Tuscia and a Visiting Fellow at Lucy Cavendish College, Cambridge. She has published extensively on Gothic fiction and the stage, the house in literature, and the fiction and drama of Frances Burney. Her most recent book is The Gothic Novel and the Stage. Romantic Appropriations (Pickering and Chatto-Routledge, 2015), which was awarded an Honourable Mention at the European Society for the Study of English Book Awards in 2016. Please join us in Cardiff University’s Special Collections, in the basement of the Arts and Social Studies Library. The event starts at 5.30pm on Monday 13 March 2017. As usual, refreshments will follow after the presentations and discussion.